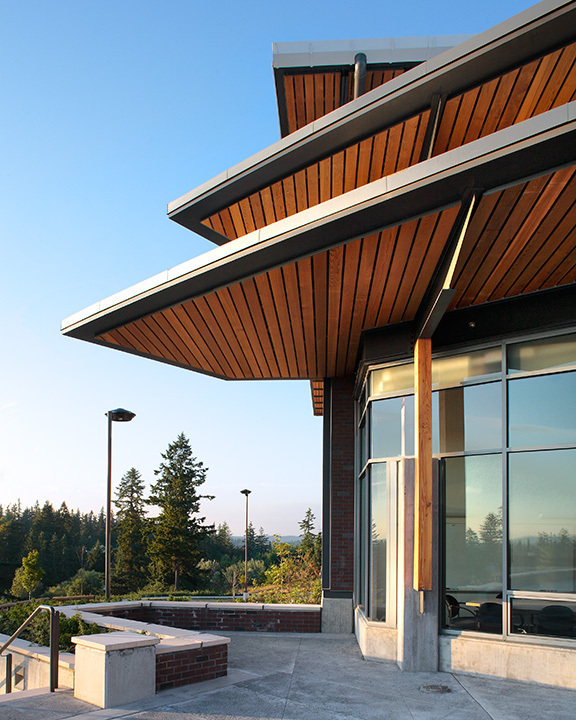 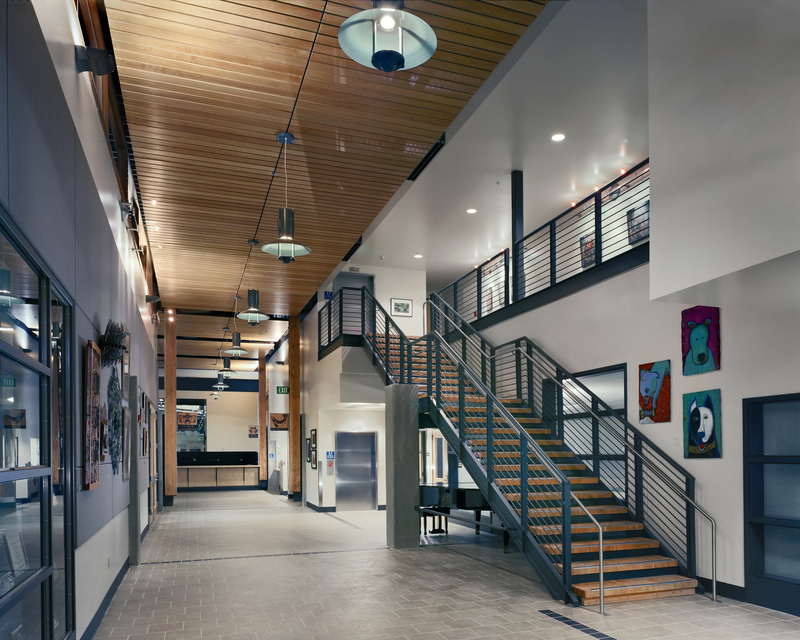 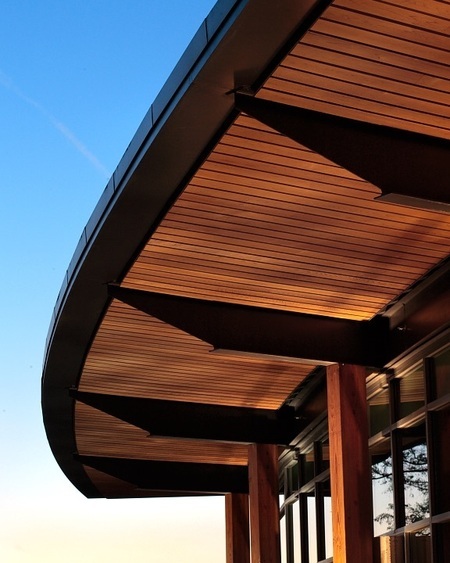 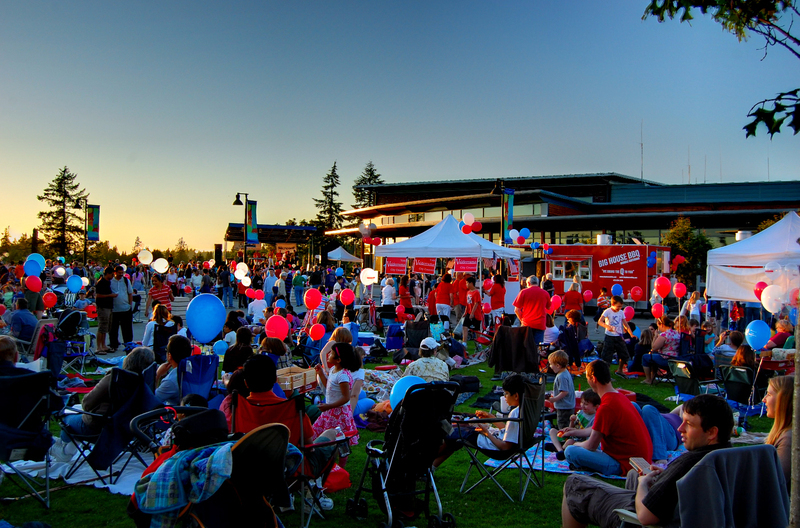 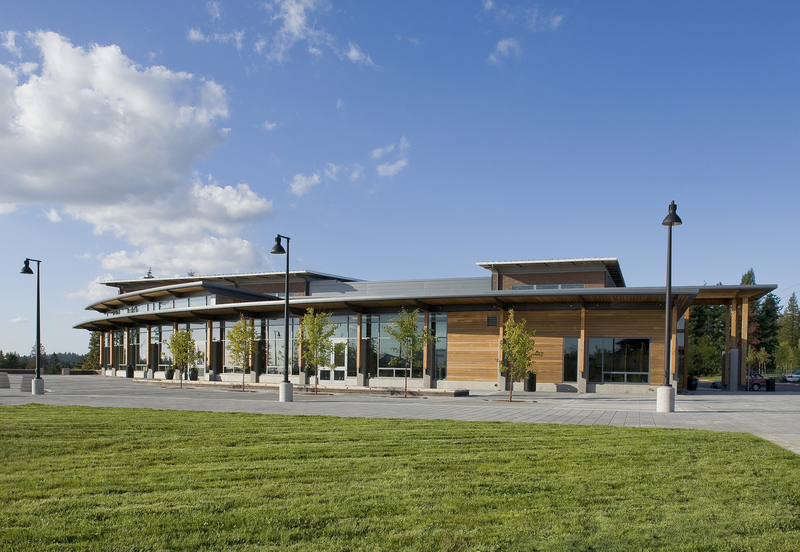 Spanning a 30-acre site on the Sammamish Plateau, this project includes a new City Hall and Police Station. 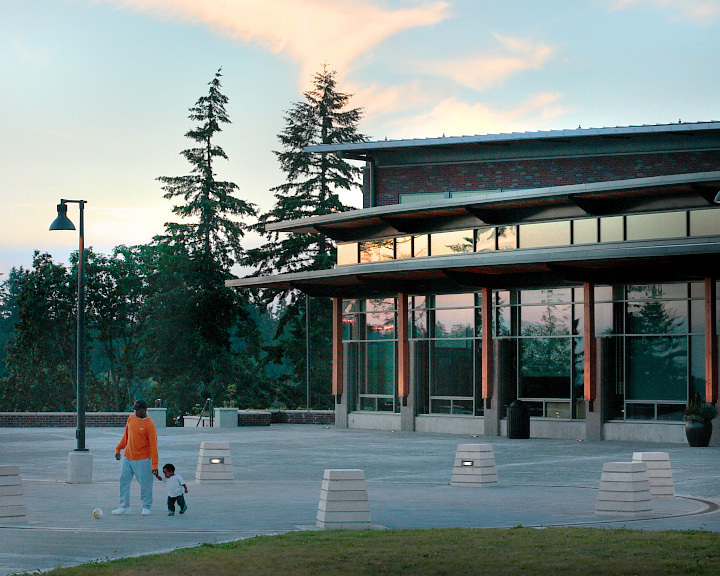 An expansive public plaza ties the building to a 10-acre active park featuring a skate park, sports court, and climbing wall. 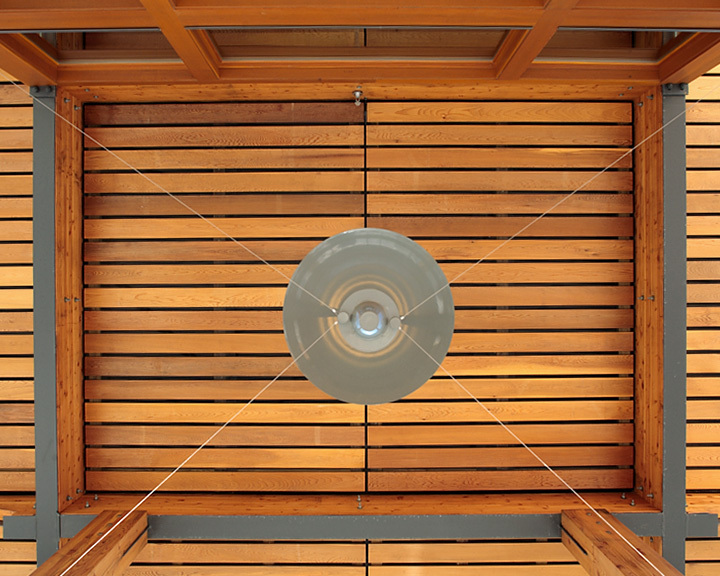 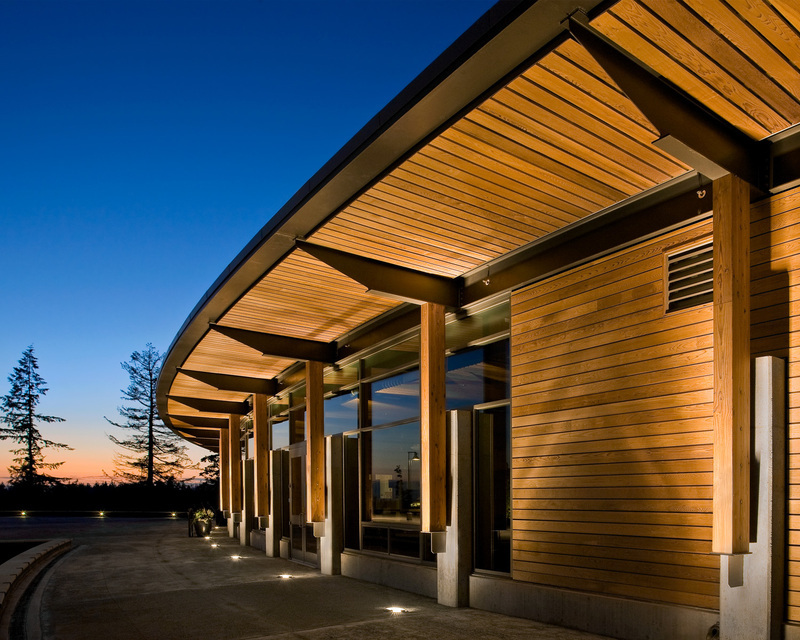 The building’s union of glass, concrete and cedar siding create a modern building for a modern, emerging community. 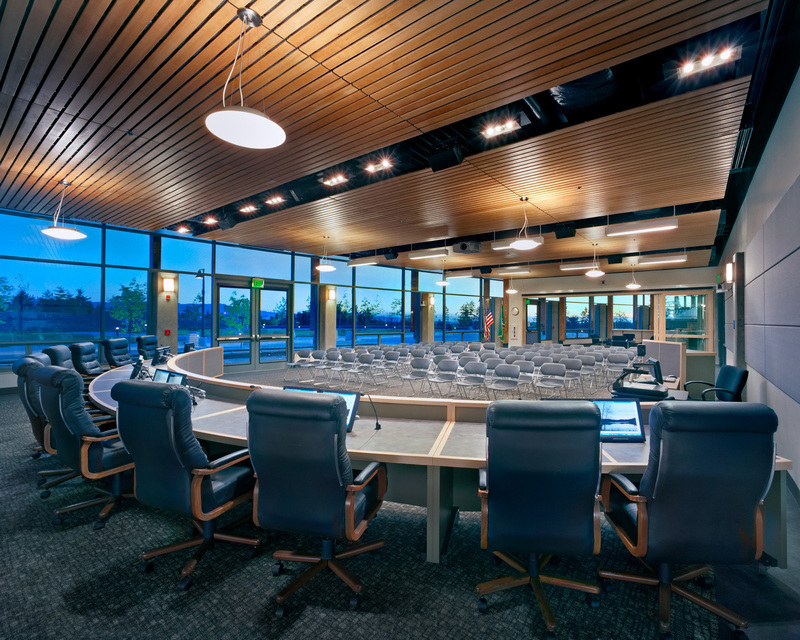 The Council Chambers has generous natural light and its main architectural feature is a curved glass wall with marching columns that stand at attention toward the plaza. 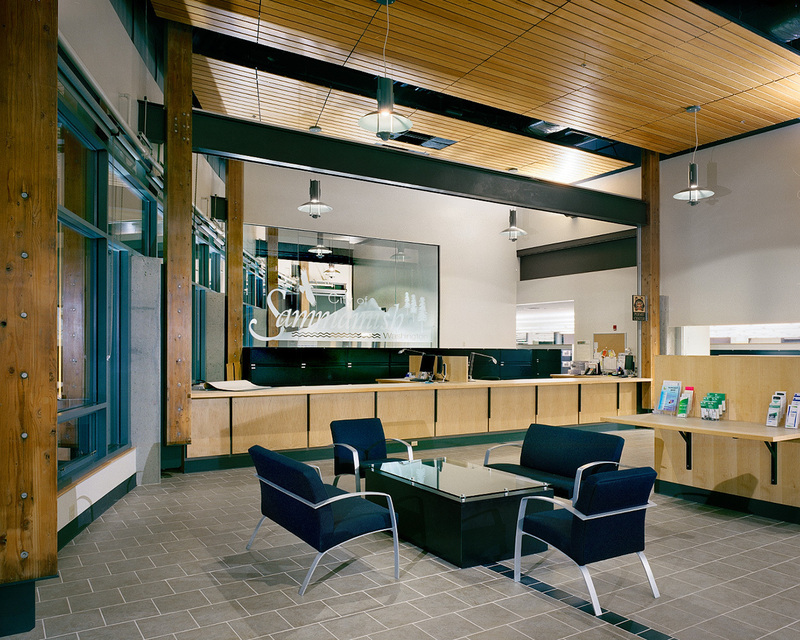 The central hall feature connects the public spaces and the more private departmental offices. 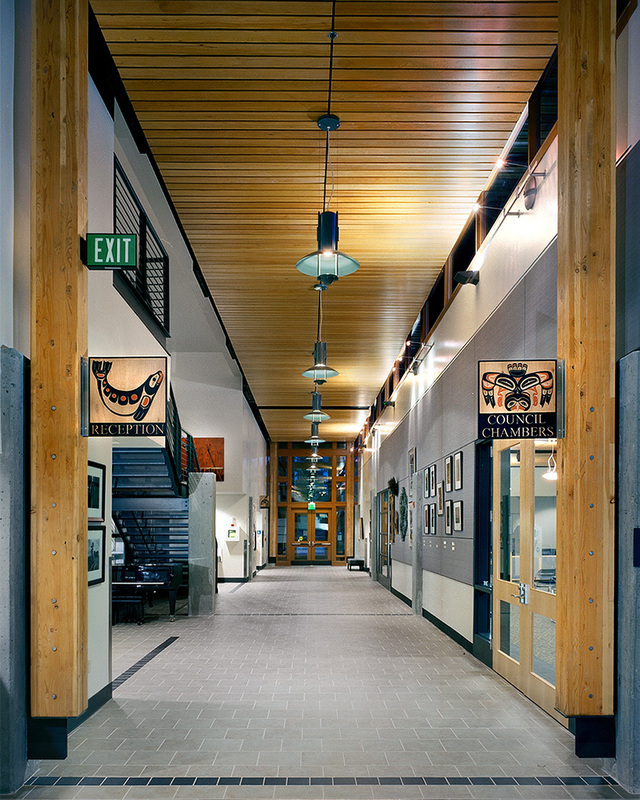 The police station is located on the north side with a private entry for officers and separated parking garage.